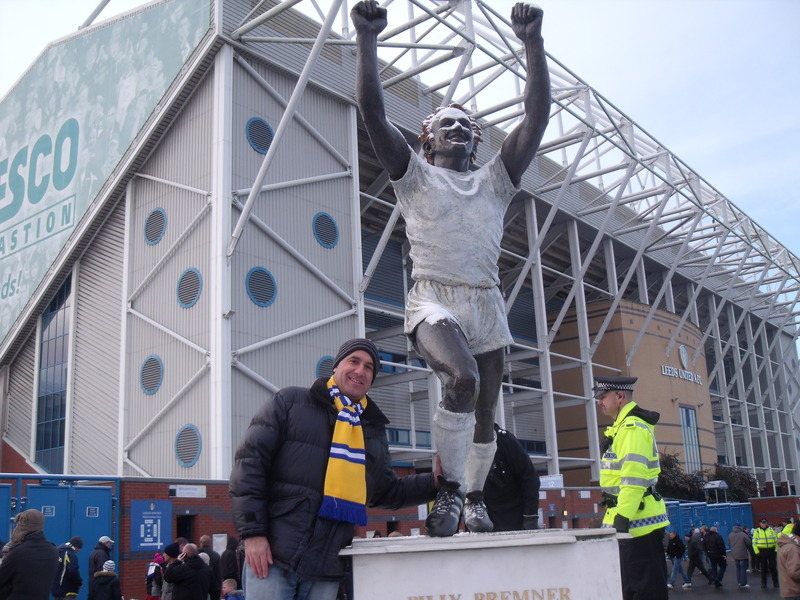 Next to statue of Billy Bremner who died in 1997 aged just 54. On Saturday I escaped the chaos in London caused by the heavy snow and went to Leeds, aka The Promised Land. 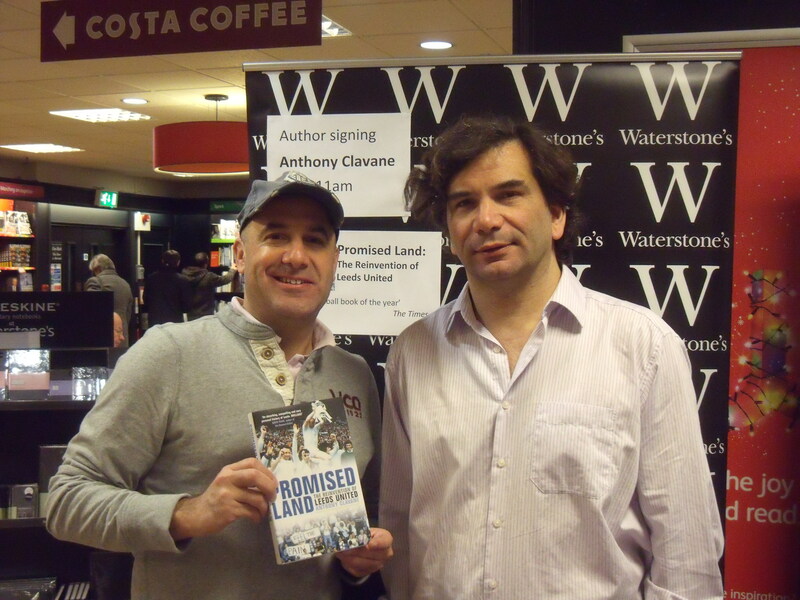 Leeds and Leeds United are the subject of a fabulous new book by Sunday Mirror Sports journalist Anthony Clavane (or Clavansky as his eastern European ancestors were known). 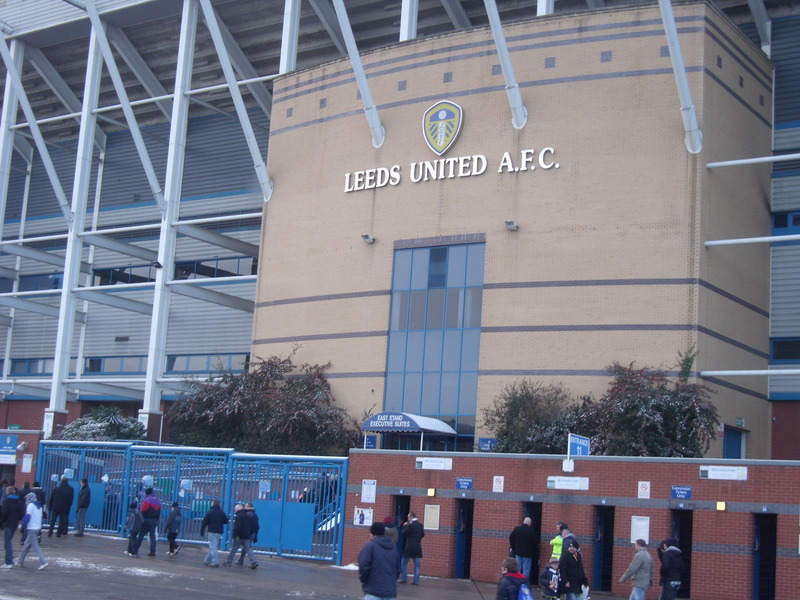 It’s called The Promised Land: The Reinvention of Leeds United. It tells of how Eastern European Jews escaped poverty and pogroms for a new life in Leeds and how they helped to transform Leeds from a dour Rugby League town into a vibrant football loving city. Although, as Clavane makes clear there is still, sadly, so much poverty in certain areas of Leeds, including around the football ground. Until the sixties Leeds United, and their predecessors Leeds City, had won nothing. In 1961 Leeds United were on the verge of going bankrupt but interest free loans by three local Jewish businessmen kept the club afloat and with Don Revie as manager they reached their first FA Cup final in 1965 (they lost) and, finally, became League Champions in 1968/69 for the first time. Under the Don they won the League Cup in 1968, the FA Cup again in 1972 and the League Championship again in 1973/74, as well as the Fairs Cup in 1968 and 1971. They reached a host of finals and were, incredibly, league runners-up on five occasions under Revie before 1975 became an annus horribilis for the club. The Don left in 1974 and Cloughie followed for his notorious 44 day stint before Jimmy Armfield took Revie’s team to the 1975 European Cup Final in Paris where they were robbed on the verge of reaching the Promised Land. First, Clarke was hacked down in the penalty area but no penalty was given and then Lorimer had a good goal disallowed when Bremner was judged to have been offside. He wasn’t. Bayern Munich went on to score two goals against a now demoralised Leeds. Leeds supporters still ironically chant “Champions of Europe” at every match to this day. Violence broke out after the Paris game and Leeds were banned from playing in Europe for four years but went downhill from there and eventually got relegated seven years later. Leeds fans became regularly involved in violence at matches as well chanting racist abuse. The National Front sold their newspaper outside Elland Road. Leeds did get back up and won the League Championship for the third time in 1991/92. And in the Champions League of 2000/2001 they once again stood on the verge of the Promised Land after drawing 0-0 in the first leg of the semi-final with Valencia. However, days before the away leg UEFA inexplicably banned Lee Bowyer. 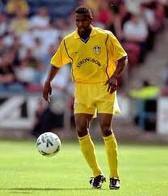 Bowyer had been the powerhouse behind Leeds in Europe and Leeds got duly thrashed in Valencia. Huge disappointment again led to disaster with Leeds almost going broke again before getting relegated, this time twice! Having totally outplayed QPR and winning 2-0 they stand second in the Championship as of today. The Promised Land beckons again. 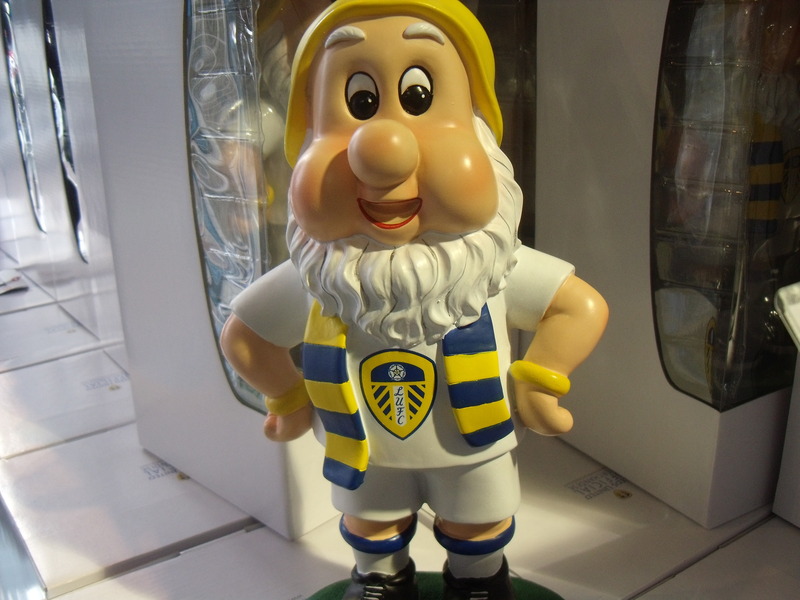 No doubt something will go wrong between here and the end of the season but Elland Road was a happy place on Saturday and on sunday morning I went to meet Anthony Clavane who was doing a pre-Christmas book signing at Waterstone’s in Leeds. I loved the book. It made me realise that when I connected with Leeds as a boy I was connecting with a club with a big Jewish heritage and which wouldn’t have been around today if three local Jewish businessman hadn’t come to the rescue in 1961. He told me that if Leeds get back into the Premiership he will campaign to have the sign reinstated. I’ll be right behind him. Available in club shop. Cute, eh? Meeting childhood hero, Eddie "The Last Waltz" Gray. Phew. That was close. I am just back from Brisbane Road where I went through the indignity of sitting with the Orient fans (it being impossible to get an away end ticket with these division one grounds being so blooming small). Max Gradel breaks free with the ball. 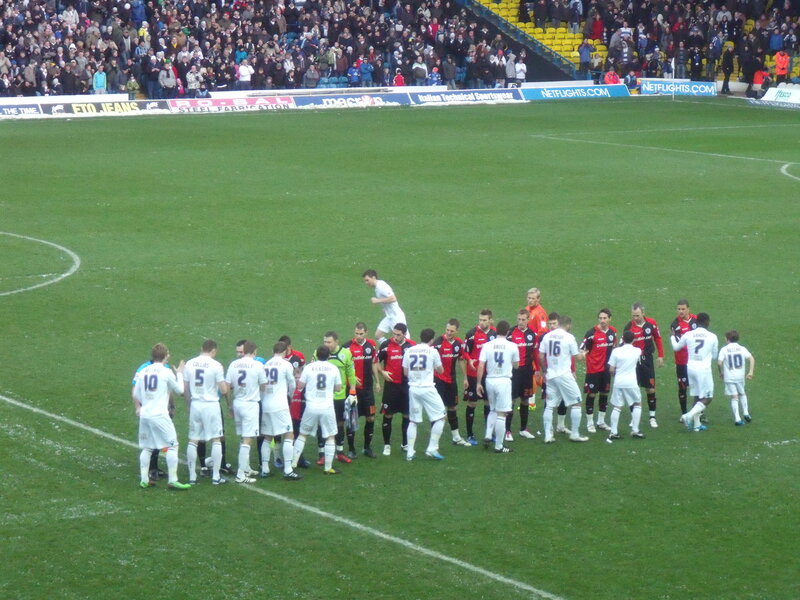 With Leeds totally dominating typically they went behind. 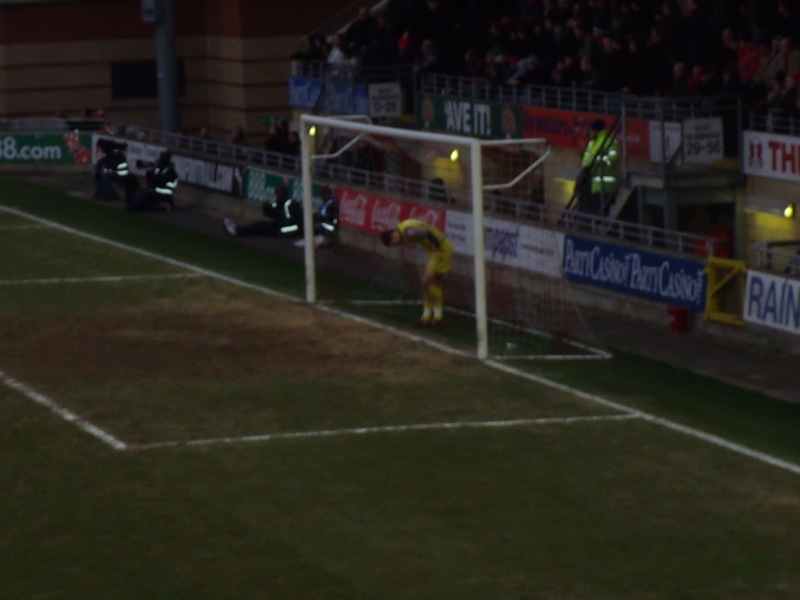 But just as the Orient fans around me were preparing to celebrate the final whistle they were hilariously silenced when Charlie Daniels lashed the ball past his own goalie. The ref blew up 20 seconds later. A famous victory was denied them and the two teams are unlikely to ever meet again. Despair after conceding a 95th minute own goal. I was sat opposite the huge Leeds travelling support who delightfully kept singing “Leeds are going up” to the tune of K.C & The Sunshine Band’s “na na na na na na na na na na Baby give it up“. 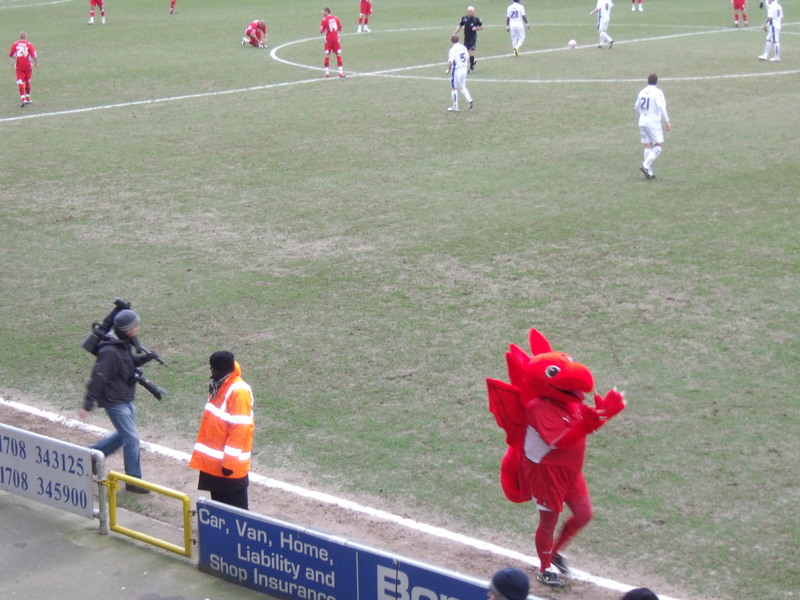 And as ever they also directed “You’re only here to watch the Leeds” at the Orient fans (which is probably true seeing as the crowd of 8013 was by far Orient’s biggest of the season). 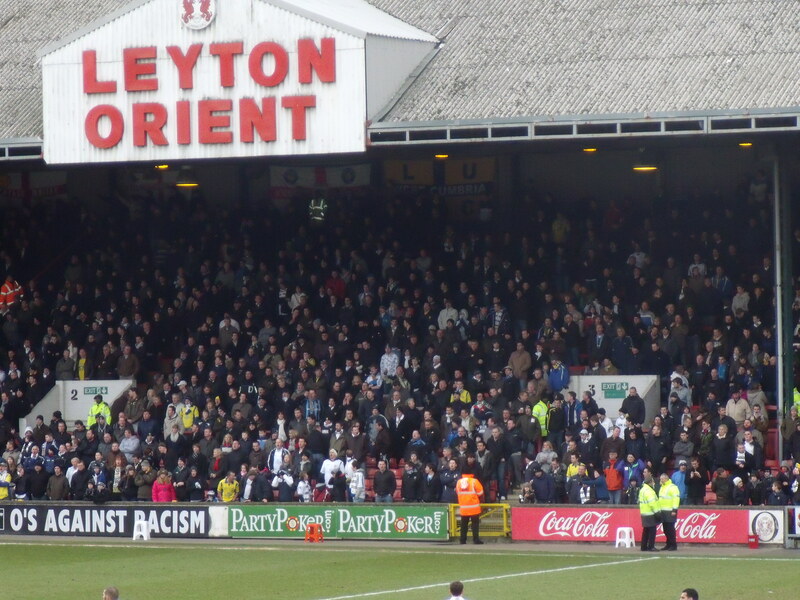 Finally, the lads travelled back north happy and left the Orient fans with the Leeds anthem “Marching on Together” ringing sickeningly in their ears. The huge travelling Leeds support. 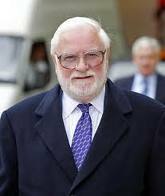 On another note I had a phone-call from Ken Bates this week. I had written to him out of concern over the Nazi salute I had seen and Belsen chants I had heard when Leeds played Spurs in the recent FA Cup replay at Elland Road. He suggested I should have done something myself like contact a steward, ring the number in the programme or even remonstrate with the culprits myself. He said he would have had the culprits banned from Elland Road and then quoted me Edmund Burke’s “All that is required for evil to prevail is for good men to do nothing”. He had a point although after a three hour drive I’d rather enjoy the game than have to explain to a steward who said what and where. As for remonstrating myself (I did actually try briefly but gave up) even he agreed that “it was likely that I would have had my front teeth pushed in”. He told me about his visit to Israel and to the Western Wall for a barmitzvah. 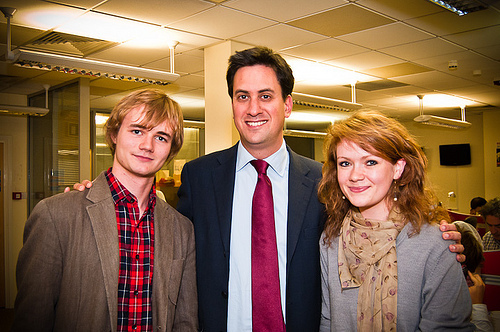 After 20 minutes he wished me well and told me he would address the issue in his programme notes. Just before ringing off he asked me what I do. When I told him I was a journalist he suggested I should get a more respectable career like becoming a coke-dealer or a pimp. It was good that he called me though. I don’t think too many Chairman would take time out of their busy schedule to speak with a fan over their concerns. I also took the opportunity to express my worry over our current league form. “We’re working on that,” he replied. 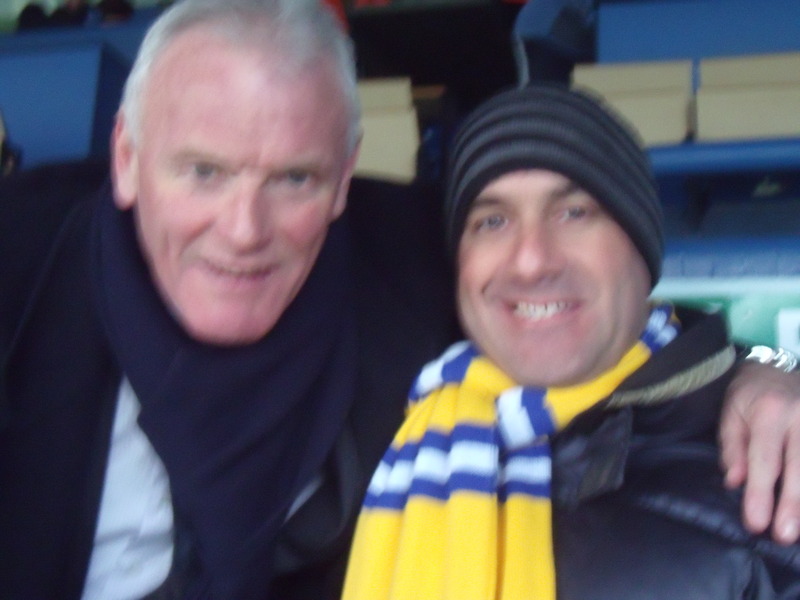 So if you are going to Leeds V Walsall this tuesday please let me know what his programme notes say. They normally make an interesting read anyway as they focus on world events in addition to the footy.